Brian Kubicki has been studying amphibians in Costa Rica for 17 years, dedicating thousands of hours to fieldwork in the country's tropical rainforests. But he probably never expected to meet a celebrity frog in the process. In a study published earlier this year in the journal Zootaxa, the founder of the Costa Rican Amphibian Research Center described a new species of frog, Hyalinobatrachium dianae. With its uniformly bright lime green skin and big white bug eyes with dark centers, it looks uncannily like Kermit the Frog. Kubicki said that one of the things that most distinguishes H. dianae from other species of glassfrog is also part of why it took so long to discover. "The advertisement call that the males of this species produce are very unique, no other known species of frog has a similar call, and this was indeed one of the traits that we used for the justification of it being a completely new species," he said. But because the call is so different - a long metallic whistle that sounds more like an insect than most other frogs - it "could have played a role in its going undetected prior." It was also discovered in poorly studied sites and has irregular activity, which made it easy to miss on the nights researchers have gone looking. Speculation is now circulating online as to whether this frog has a proclivity for high-maintenance porcine beauties, and the chances that other Muppet lookalikes could turn up in nature. For his part, Kubicki has no problem with the comparison. "I think it is great that this species is getting so much attention around the world. Hopefully this will help increase the awareness of the incredible amphibians found in Costa Rica and the need to continue studying them and conserve their vital habitats," he told CBS News. "Costa Rica stands alone with its density of amphibian species; within a mere 51,000 square kilometers of national territory, 201 species of amphibians have been documented." Kubicki didn't go the Jim Henson route when he gave the new species its moniker. H. dianae is named for his mother. 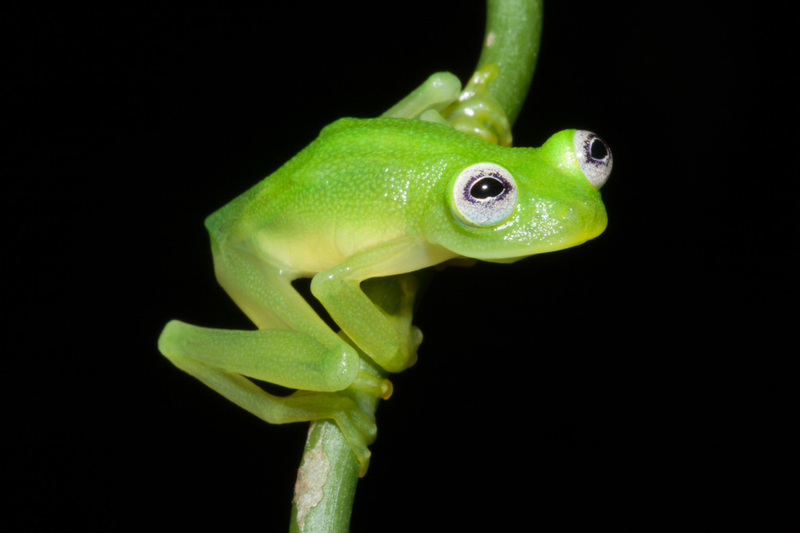 Kermit responds to new frog species: "Googly eyes run in our family."